Communities throughout the Greater Houston area will usher in the holiday season with the lighting of trees, streets, and homes. Strolling through residential areas made famous for their elaborate lighting designs is a family tradition for many. Others enjoy an annual expedition downtown to witness the heart of the city covered in holiday decor. The Dickinson Festival of Lights is put together by a nonprofit organization founded on a shared love for holiday displays. The festival's signature features are steel objects wrapped in twinkling lights spread across Paul Hopkins Park. The event also includes cookie decorating, concessions, pictures with Santa, train rides, and, of course, thousands of festive lights. You can walk through the lighting display at Paul Hopkins Park in Dickinson, Texas—about a 30-minute drive from Houston—starting the Saturday after Thanksgiving (November 24) through December 23, 2018 from 6 p.m. to 8:30 p.m. The event is free, and shuttles are available to get you to and from the Dickinson Plaza Shopping Center parking area. Nite of Lites typically goes from the first or second weekend in December to the last, from about 6 p.m. to 10 p.m. In 2018, it will be available from December 8-30. 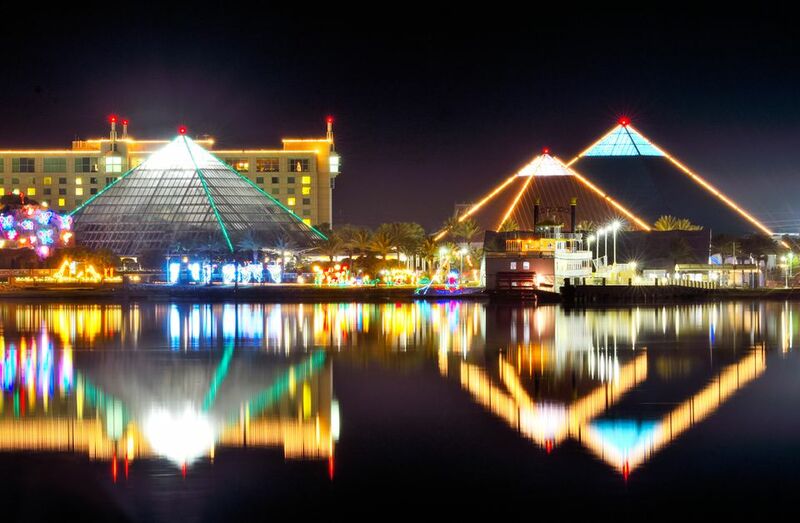 Moody Gardens' Festival of Lights is one of the largest holiday events in the Houston area, featuring over a million lights, choral performances, pictures with Santa, and an outdoor skating rink. The lights can be seen November 17, 2018 through January 6, 2019 from 6 p.m. to 10 p.m. Tickets prices vary by day and can fall on the higher side, but with all there is to do, it's well worth the price. There is also Ice Land, which coincides with the Festival of Lights but opens at 10 a.m.
Houston's annual holiday celebration and tree lighting has been going on for roughly a century and features the official lighting of the city's holiday tree, as well as music, Santa, and even fireworks. The event will be held on November 30, 2018 from 6 p.m. to 8 p.m. at City Hall. Every evening during the holiday season, the Houston Zoo turns into a spectacle of lights and sounds. The park's trees and pathways are lit with 15 miles of lights and lighted animal sculptures, often set to the rhythm of holiday music playing throughout the park. The display runs from November 17, 2018 to January 13, 2019 and is closed December 24 and 25. Ticket prices vary, depending on how much traffic is anticipated and are separate from standard general admission tickets. If you've never experienced the Houston Zoo at night, it's a fun family or date night activity to try at least once. The Uptown Holiday Lighting display features roughly 500,000 lights, concerts, live stage performances, fireworks, and more. The lighting itself is traditionally held on Thanksgiving Day, with the lights sparkling on Post Oak Boulevard between San Felipe and Westheimer Road all holiday season long. Construction on Post Oak Boulevard, though, has canceled the ceremony until winter 2019.